Spontaneous and Romantic? You'll LOVE This! Ahhh, Valentine’s Day. A day of endless chocolates, flowers and love. To all you nah-sayers out there, we say come spend a day with us in Buda. You can’t help but feel the love as happy couples make their promises to each other in the most spontaneously romantic way possible—Elopement Day at The Carrington. For a small fee, couples can book a slot on Valentine’s Day to elope at this beautiful, vintage venue. An officiant is provided and plenty of add-ons are available to make your moment even more special. 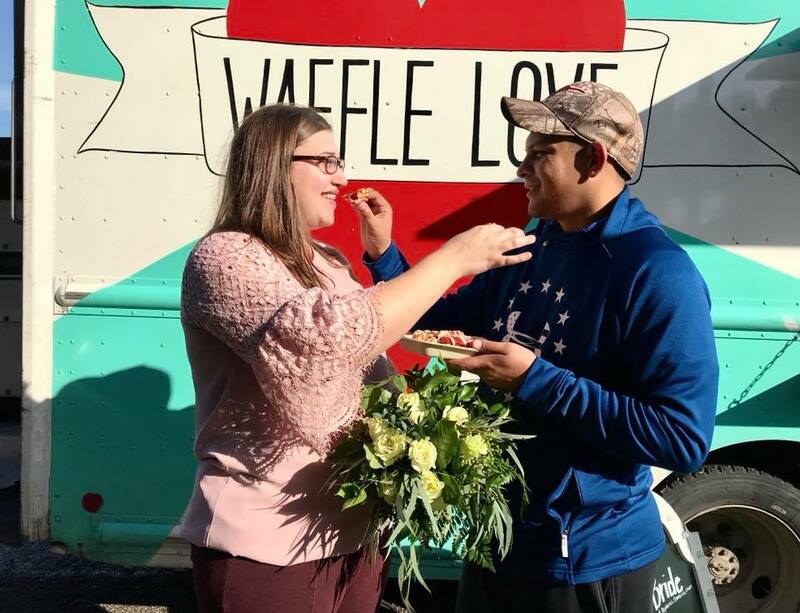 Waffle Love—a delicious waffle truck—is on site most of the day to provide a unique wedding cake for the happy couple. What a more unique way to say I Do? Get to know the girls behind it all!